The productivity of organic farming is typically lower than that of comparable “conventional” farms. 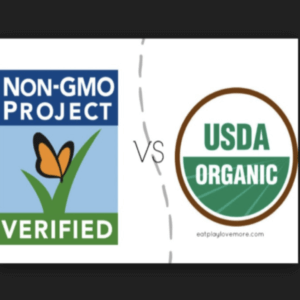 This difference is sometimes debated, but a USDA survey of organic agriculture demonstrates that commercial organic in the U.S. has a significant yield gap. I compared 2014 survey data from organic growers with overall agricultural yield statistics for that year on a crop by crop, state by state basis. 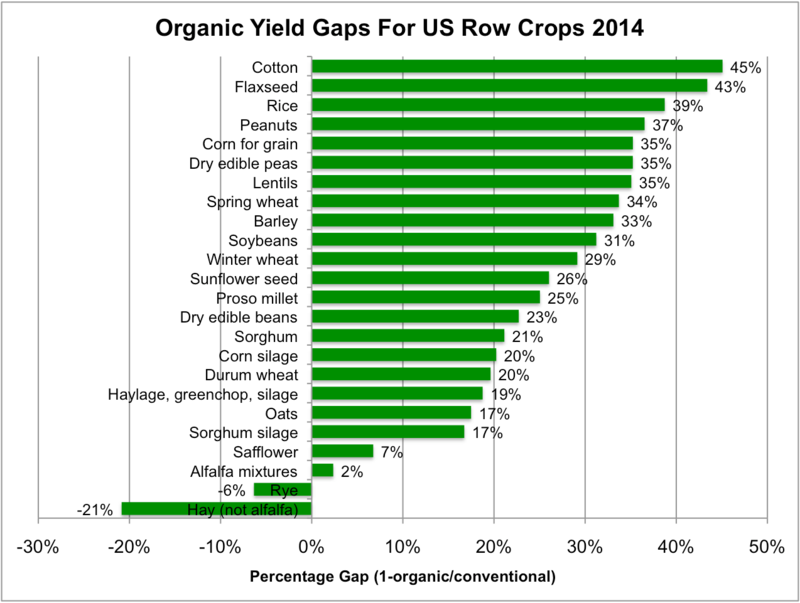 The picture that emerges is clear–organic yields are mostly lower. To have raised all U.S. crops as organic in 2014 would have required farming of one hundred nine million more acres of land. That is an area equivalent to all the parkland and wildland areas in the lower 48 states or 1.8 times as much as all the urban land in the nation. As of 2014 the reported acreage of organic cropland only represented 0.44 percent of the total, but if organic were to expand significantly, its lower land-use-efficiency would become problematic. This is one of several reasons to question the assertion that organic farming is better for the environment. 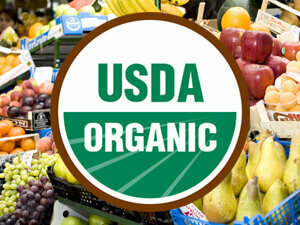 The USDA conducted a detailed survey of organics in 2008 and then again in 2014. Information is collected about the number of farms, the acres of crops harvested, the production from those acres, and the value of what is sold. The USDA also collects similar data every year for agriculture in general and makes it very accessible via Quick Stats. It is interesting that they don’t publish any comparisons of these two data sets as they would be able to make comparisons on a county basis. 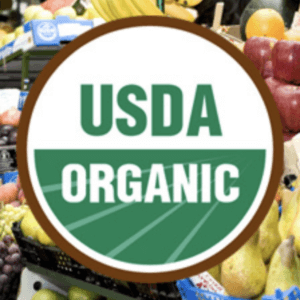 By working with both USDA data resources I was able to find 370 good comparisons of organic and total data for the same crop in the same state and where the organic represented at least 20 acres. That comparison set covers 80 percent of U.S. crop acreage. 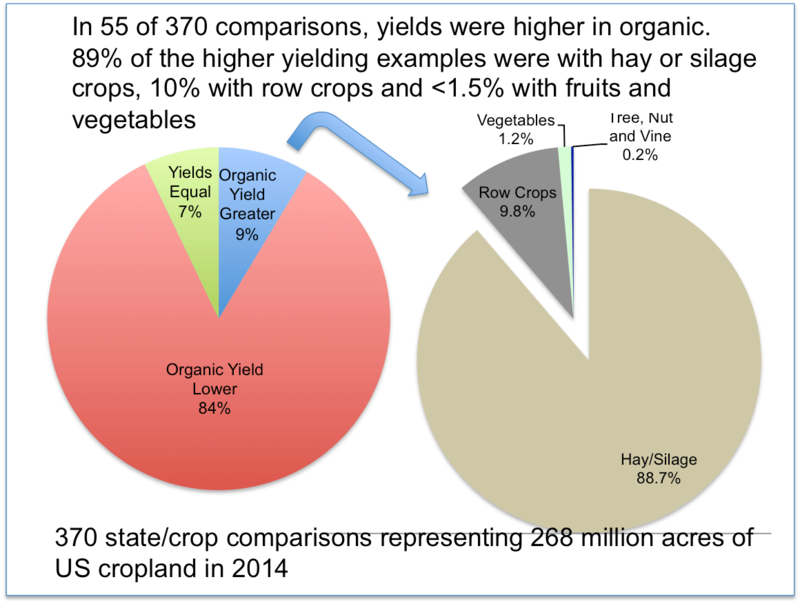 For 292 of those comparisons, the organic yields were lower (84 percent on an area basis). 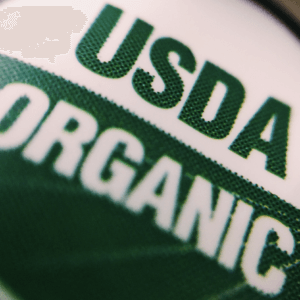 There were 55 comparisons where organic yield was higher, but 89 percent of the higher yielding organic examples involved hay and silage crops rather than food crops. 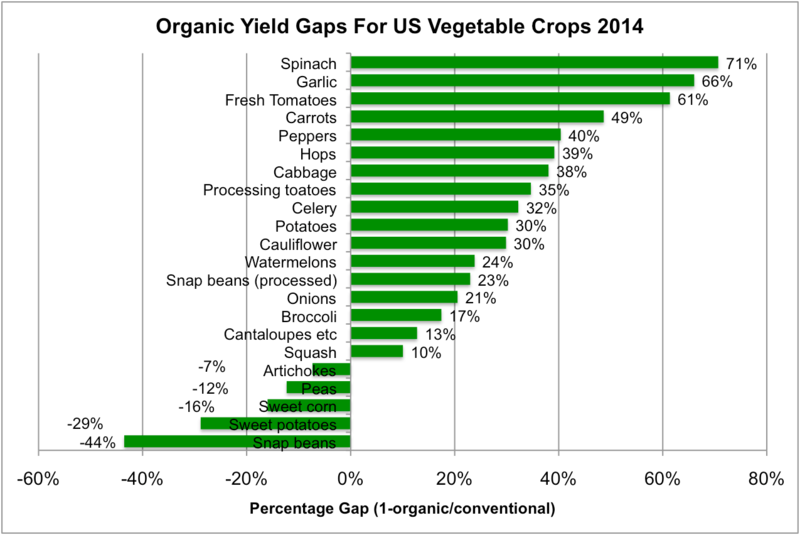 The organic yield gap is predominant for row crops, fruit crops and vegetables as can be seen in the graphs below. 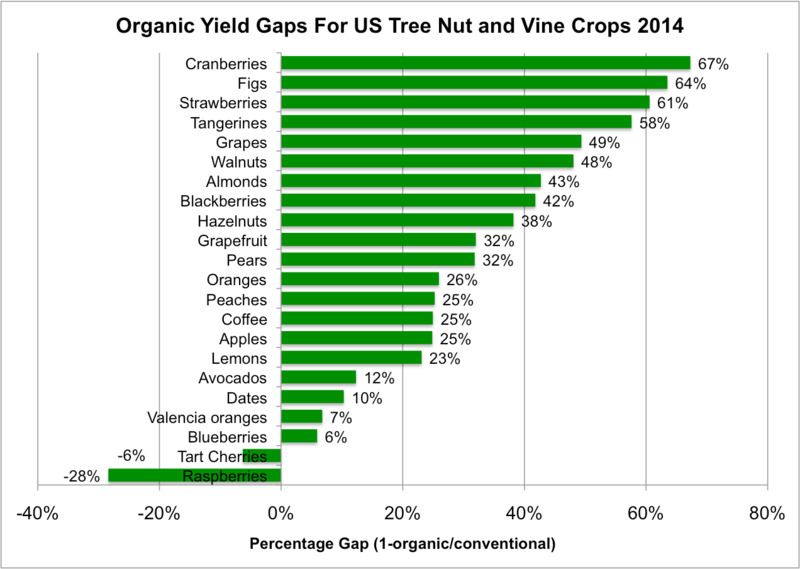 The reasons for the gap vary with crop and geography. In some cases the issue is the ability to meet periods of peak nutrient demand using only organic sources. The issue can be competition from weeds because herbicides are generally lacking for organic. In some cases its reflects higher yield loss to diseases and insects. Although organic farmers definitely use pesticides, the restriction to natural options can leave crops vulnerable to damage. I’ve posted a much more detailed summary of this information on SCRIBD with the data at the state level. There is some potential for artifacts within this data set. If the proportion of irrigated and non-irrigated land differs between organic and conventional that would skew the data. With lettuce and spinach it is likely that the organic is proportionally more in the “baby” category making yields appear dramatically lower. But overall this window on farming is useful for understanding the current state of commercial organic production. Since the supply of prime farmland is finite, and water is in short supply in places like California, resource-use-efficiency is an issue even at the current scale of organic (1.5 million cropland acres, 3.6 million including pasture and rangeland). You are welcome to comment here and/or to email me at [email protected] I’d be happy to share a data file with interested parties and to get feedback about where particular yield comparisons might be misleading. A more detailed presentation is available here. 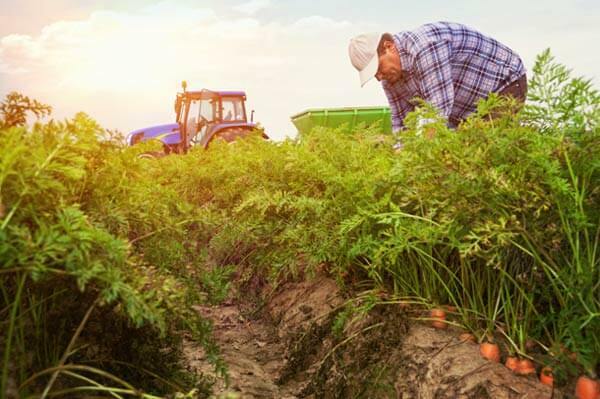 This article originally appeared at Forbes as “The Lower Productivity Of Organic Farming: A New Analysis And Its Big Implications” and has been republished here with permission.